The first step in creating safer playgrounds iS to know what kind of injuries to expect. That way, parents are prepared for possible outcomes and better-suited in case medical assistance is required. According to the U.S. Consumer Product Safety Commission, the most common playground injury is fractures, which account for 36 percent of all cases. The remainder of the top five includes: contusions and abrasions (20 percent), lacerations (17 percent), sorted sprains and strains (12 percent), and damage to internal organs (5 percent). According to the NPPS, there were a number of reasons for playground injuries, including those related to faulty equipment and nearby hazards. However, collisions between children were the result of 7 percent of all injury cases.Though some of these are unavoidable, that statistic does raise some important questions about manners between children on the playground. Parents and children alike should demonstrate courtesy whenever they’re at the playground. Teach your children to say things like “please” and “thank you,” take turns on various pieces of equipment and pay attention to his or her surroundings. Steps like this can go a long way in fostering a more open and inviting environment for all children. It’s hot out: The heat makes contact with the metal almost unbearable, which can lead to further injuries. It’s raining: Like heat, moisture has a way of leading to additional instances of injury. It’s cold out: The child’s skin can also stick to the metal, causing various forms of damage. 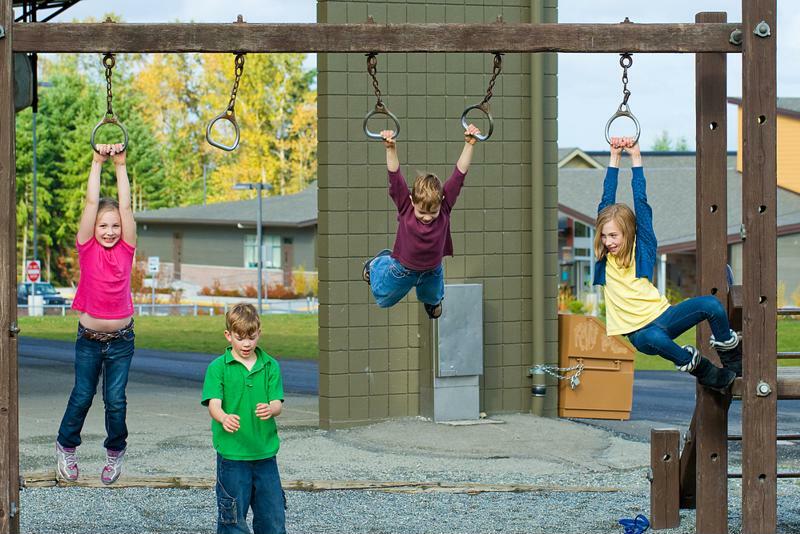 Improper safety precautions can make playgrounds dangerous. Though children are naturally curious, many don’t understand their physical limitations. That might explain why, as the NPPS noted, 23 percent of all playground injuries involved climbing equipment. At least some of this may have to do with your child’s inability to support his or her weight when climbing up the geodome or across the monkey bars. It’s important you express to your children that they must be cautious when climbing, and perhaps there should be only a few pieces of equipment they have access to. As an extension of this, you may want to limit the child’s use on the playground until a certain age. According to the NPPS, 54 percent of all injuries occurred in children in the 0-to-4 age group. The security of the mulch or synthetic rubber under the equipment. Nearby trash or pieces of glass that can prove harmful. You also need to speak with your child’s teacher, expressing your specific concerns about the playground and to ensure there is a schedule of teachers assigned to watch duty. It may also be a good idea to share any concerns regarding your child, like if he or she tends to stick to one activity or has a history of specific injuries. Unfortunately, there is no foolproof way to prevent playground accidents, and your child might very well experience an injury at some point during school. If that does happen, you can take your child to a CareWell Urgent Care location. With locations across the Eastern Seaboard, CareWell physicians have the expertise to help your child heal and get back to the business of being young.